Super mini because I only ordered three items. 1. Lash Intense mascara - I've read mixed reviews about this one. I decided to try it out for myself. And I was intrigued by the two-in-one applicator. 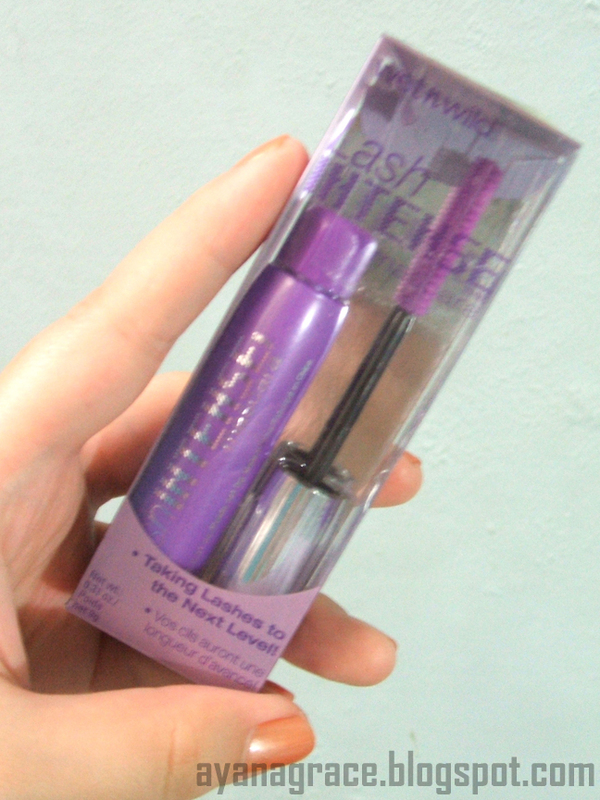 Price: 99.75 Php. 2. 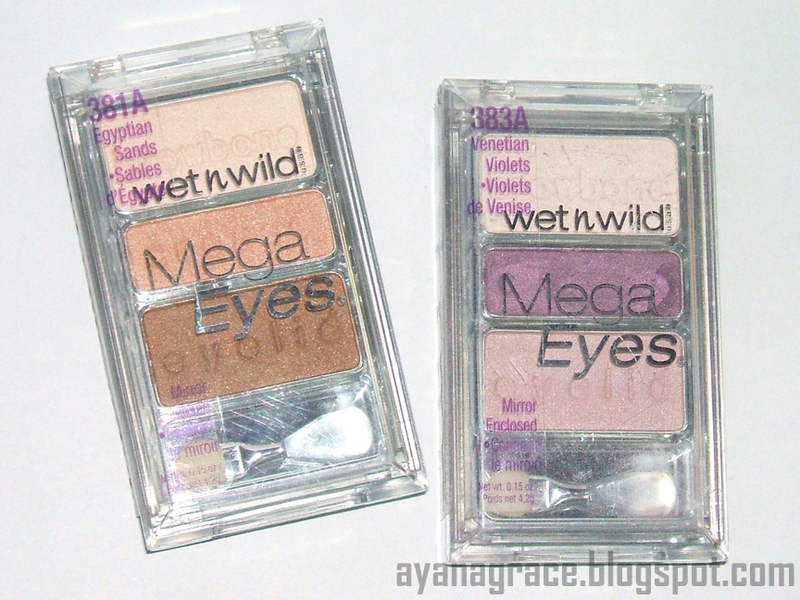 Mega Eyes Trio in Egyptian Sands and Venetian Violets - I think these two and the other 4 shades from the line have already been discontinued but I was able to buy them online (including the mascara) from Ms. Meg's eBay store. 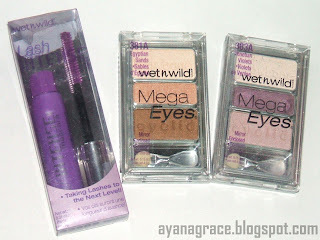 Price: 99.75 Php each. That's it for my super mini Wet N Wild haul. I've been meaning to try out the mega eyes palette, but then my friend gave me the color icon trios. I love them.